8 TOP FAQ ON NEW DECISION OF PHILIPPINE SUPREME COURT ALLOWING FOR RECOGNITION OF DIVORCE OBTAINED BY FILIPINOD MARRIED TO FOREIGNERS. 1) Q: I am a Filipino citizen married to a foreigner. I obtained a divorce abroad from my husband. Can I have this recognized in the Philippines even if there is no divorce in the Philippines? My husband had already remarried, why can’t I? “Par. 2 of Article 26 speaks of ‘a divorce x x x validly obtained abroad by the alien spouse capacitating him or her to remarry.’ Based on a clear and plain reading of the provision, it only requires that there be a divorce validly obtained abroad. The letter of the law does not demand that the alien spouse be the one who initiated the proceeding wherein the divorce decree was granted. It does not distinguish whether the Filipino spouse is the petitioner or the respondent in the foreign divorce proceeding. Assuming, for the sake of argument, that the word “obtained” should be interpreted to mean that the divorce proceeding must actually be initiated by the alien spouse, still, the Court , will not follow the letter of the statute when to do so would depart from the true intent of the legislature or would otherwise yield conclusions inconsistent with the general purpose of the act. Petitioner Marelyn Tanedo Manalo in this landmark case is also a Filipina married to a Japanese national. She initiated the divorce proceedings against her husband, which was granted by the foreign court. However, her petition for judicial recognition of the divorce obtained abroad was denied by Regional Trial Court in Dagupan. It ruled that the kind of divorce recognized here in the Philippines are those validly obtained by the alien spouse abroad, and not by the Filipino spouse. This is because, prior to this landmark case, if the one who obtained the divorce was the Filipino spouse, the State will not recognize the divorce because of the absence of absolute divorce in the country and the application of the nationality principle where laws on marriage follow the Filipino national wherever he or she may be. With this ruling, the State now recognizes the divorce obtained by the Filipino, and couples of the same circumstances of mixed-marriages will now be considered not married to each other even under Philippine law. Manalo can now go to the Dagupan Trial Court and present to them this SC ruling, and the divorce will now be recognized. This ruling opens up the gate for Filipinos married to foreigners to get divorce in a predominantly Catholic country that is still ambivalent towards divorce. It also cures the “injustice” as the Court noted of the Filipino citizen not being able to remarry while the foreign spouse had already been freed from the shackles of a failed marriage. What are the consequences of this ruling on the following situations? 2) Q: We are both Filipino citizens living and working abroad, can one or both of us now get a divorce and have that recognized in the Philippines? This is more commonly known as the nationality principle. Therefore, Filipinos are still under the rule of their land even if they are in another location. 3) Q: What if my spouse and I were both Filipino citizens, but he became naturalized in another country while we were married, what can we do to get a divorce under this new ruling of the Supreme Court? “Thus, taking into consideration the legislative intent and applying the rule of reason, we hold that Paragraph 2 of Article 26 should be interpreted to include cases involving parties who, at the time of the celebration of the marriage were Filipino citizens, but later on, one of them becomes naturalized as a foreign citizen and obtains a divorce decree. The Filipino spouse should likewise be allowed to remarry as if the other party were a foreigner at the time of the solemnization of the marriage. To rule otherwise would be to sanction absurdity and injustice. Where the interpretation of a statute, according to its exact and literal import would lead to mischievous results or contravene the clear purpose of the legislature, it should be construed according to its spirit and reason, disregarding as far as necessary the letter of the law. A statute may therefore be extended to cases not within the literal meaning of its terms, so long as they come within its spirit or intent. To wit, to be under the operation of this provision, there must be a valid marriage that has been celebrated between a Filipino citizen and a foreigner; and a valid divorce is obtained abroad by the alien spouse capacitating him or her to remarry. Based on the above mentioned decision, when both spouses are Filipino citizens, and one of them subsequently became a naturalized citizen of a foreign country, and a divorce decree was later obtained, to the effect of dissolving the marriage between them, the divorce shall likewise be recognized in the Philippines. 4) Q: I am a Filipino citizen married to a foreigner. I filed a petition for divorce abroad, and it was granted. Is it possible for me to remarry in the Philippines? A: Yes, but in order for the divorce obtained abroad to be legally binding under our Philippine laws, the divorce must first be recognized or acknowledged here in the Philippines. This can be done by filing a petition for judicial recognition of divorce before the Regional Trial Courts. In other words, if the divorce proceedings overseas have been granted, this does not automatically mean that the Filipino has the right to enter into another marriage. There must be an acknowledgment of the divorce from the Filipino courts for remarriage to be possible. After the Filipino courts have acknowledged the dissolution of marriage, only then can a Filipino citizen remarry. 5) Q: What evidence should be presented before the Philippine Courts to prove foreign divorce? 6) Q: The ruling of the Supreme Court is dated April 24, 2018, if I am a Filipino citizen married to a foreigner and my divorce was obtained prior to this date, can I still use it to justify the recognition of my divorce in the Philippines? A: As a general rule, laws and decisions of courts which are part of the law of the land, have only prospective effect. 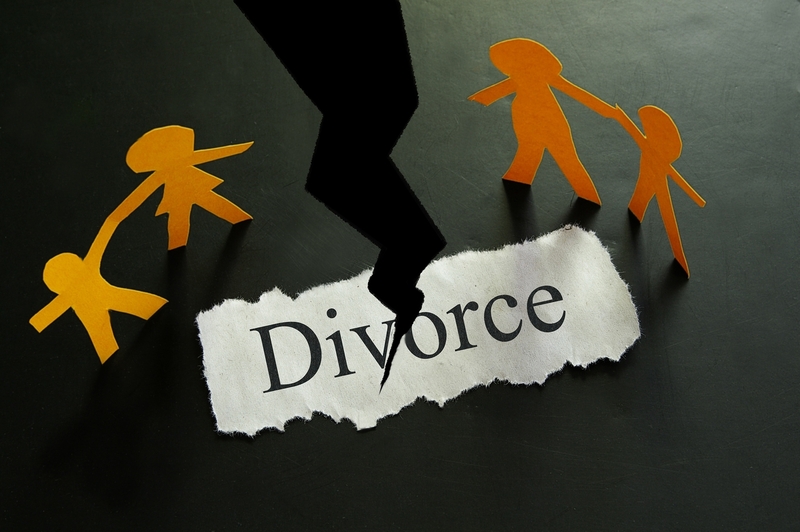 In this strict sense, it can be interpreted to mean that you cannot use the divorce obtained prior to the decision. However, as an exception to the general rule, laws or decisions of the Supreme Court which are remedial in nature or which corrects an interpretation of the law, should be given retroractive effect. 7) Q: If I am able to have my divorce from my foreign husband recognized in the Philippines under this new ruling, how would the custody and support of my children be resolved? Would the custody ordered by the foreign court in the divorce decree be binding on me or could I file separate custody proceedings in the Philippines under the Nationality Principle? A: There is a conflict here as to which law should apply when it comes to custody and support, and a lot will depend on the court where the petition for custody or support is filed. Under the principle of comity under international law which allows Philippine courts to recognize the decisions of foreign courts or tribunals, it can be argued that you are bound by whatever the foreign court has ruled on the issues of custody and support. However, it can likewise be argued under Philippine law that you have the right to sue separately for custody or support in the Philippine. 8) Q: How would property issues between me and my foreign husband be disposed of under this ruling, assuming we have properties in the Philippines? Am I bound by whatever disposition on properties were made in the foreign divorce decree or could I sue in the Philippines to protect my interests? A: Again, this is a situation where there is potentially a conflict between a foreign law and Philippine law. It can be argued that you are bound by the property dispositions made under the foreign divorce. But it can also be argued that under the nationality principle and the fact that the properties are in the Philippines that you have a right to file separate actions in court to protect your interests insofar as those properties are concerned.